It is an idyllic cottage with two double bedrooms, a spacious living room, a kitchen with dining area and terrace, a bathroom with washing machine and an extra toilet with sink. The living room has a sofa bed for two people. Furthermore there is the possibility of extra beds, both here and in the larger of the two bedrooms, set up. The Laffelberghaus is ideal for integrating additional guests at major festivals in the castle, but can also be rented as a holiday home. 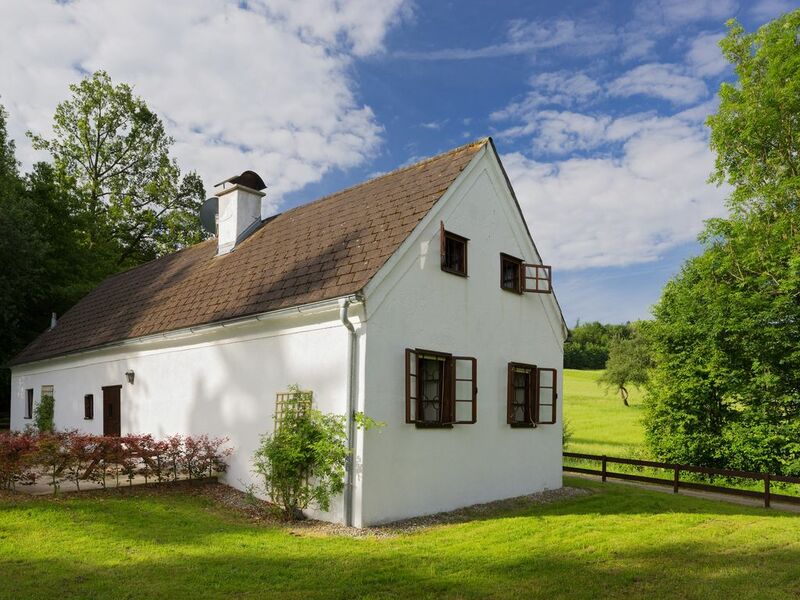 The Laffelberghaus backing onto a forest with sweeping views to the Waldviertel. Romantic and private with its own little garden and sun terrace with barbecue area surrounded by lawn. Fully equipped kitchen for 6 persons. Laundry and room service on request. In the Erlauf you can swim at our beach and cool off. They can be reached in 500 m.